Sometimes, a wall is just a wall; but other times, you want a wall to match the architectural dream that’s been churning around in your mind. 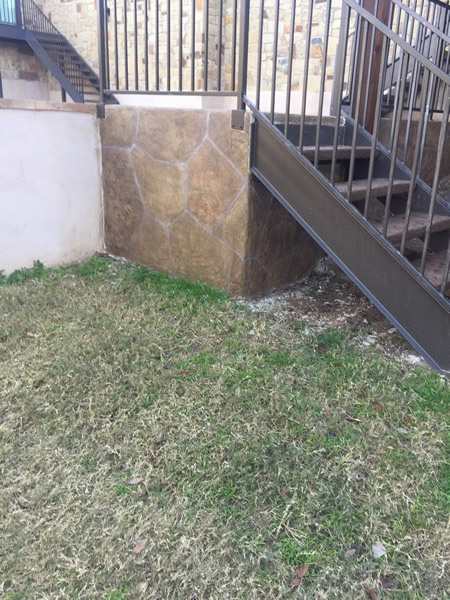 You want to turn the outside of your building into a stout fortress built with natural stone, or change that dark, unused basement into a classy abode for friends and family. 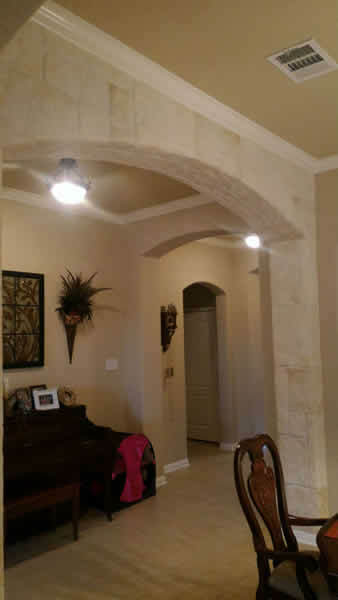 With the craftsmen at Texas Premier Coat Resurfacing in Austin, TX, your building, and the rooms inside of it, can become nearly anything you can imagine. 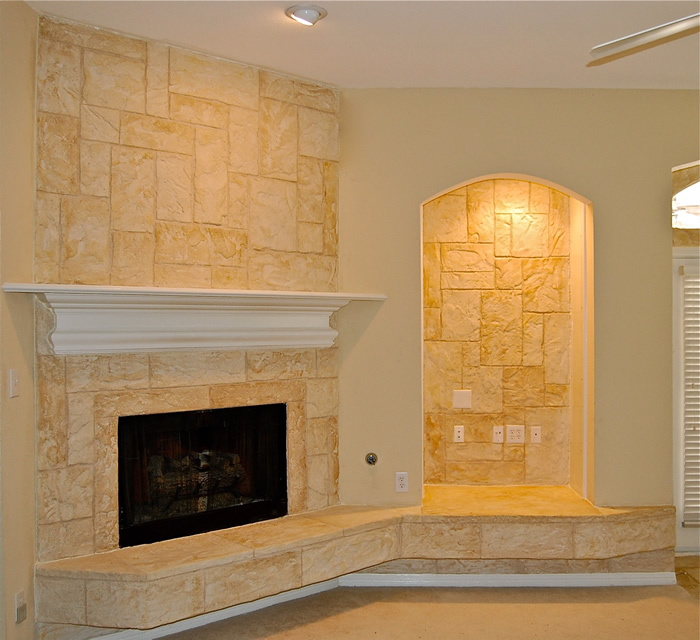 Utilizing the complex artistry of stone overlay, as well as other vertical overlays, we offer our customers the opportunity to let their imaginations run wild, and get the wall designs they’ve always wanted, but were never able to achieve before. When you’re looking to replace the look and feel of a current vertical surface, there’s no need to bust the whole thing down and replace it. There are simpler options. Implementing vertical overlays into your existing surfaces is probably the solution you’re looking for, especially if you want something new, reliable, and completely unique. We like to consider ourselves construction artists, taking your hopes and ideas, and crafting something absolutely beautiful. It’s not a stretch to say you could have the room or vertical home design you’ve always wanted—that’s what we’re here to offer. Vertical designs are built to the customer’s desires and are vastly customizable. 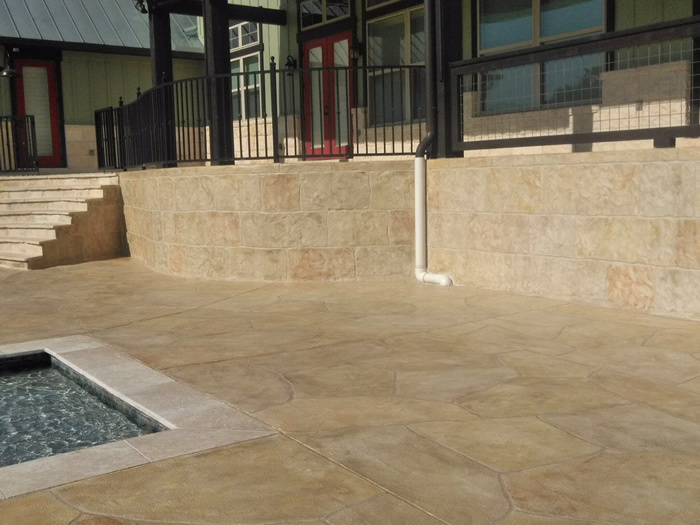 Whether you’re seeking out the look of solid rock overlay, mortared brick, weathered tile, or wood-grain, the possibilities are almost unlimited in scope. Create an environment of your choosing. 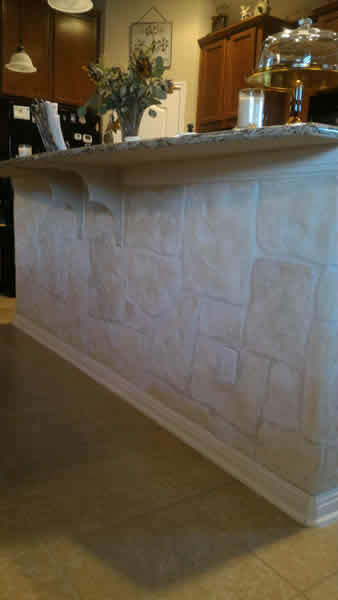 Do you want the look of an old-world tavern for social gatherings, or an ultra-modern stone-tile overlay for your office? All possible with our decorative designs. The overlays can even be stained or colored to your specificity, ensuring you get the exact aesthetic feel that clicks with you and the natural surroundings of the structure. 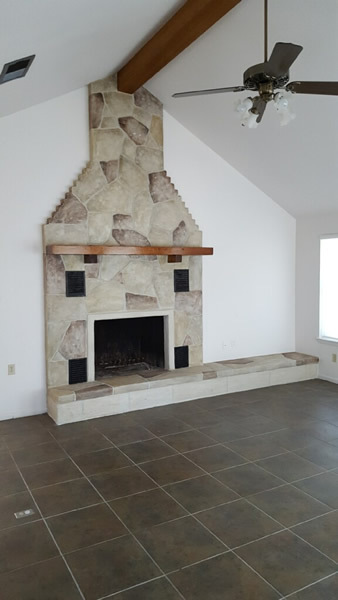 The versatility of a decorative concrete overlay means you can transform anything from fireplaces and archways to cellars and retaining walls. 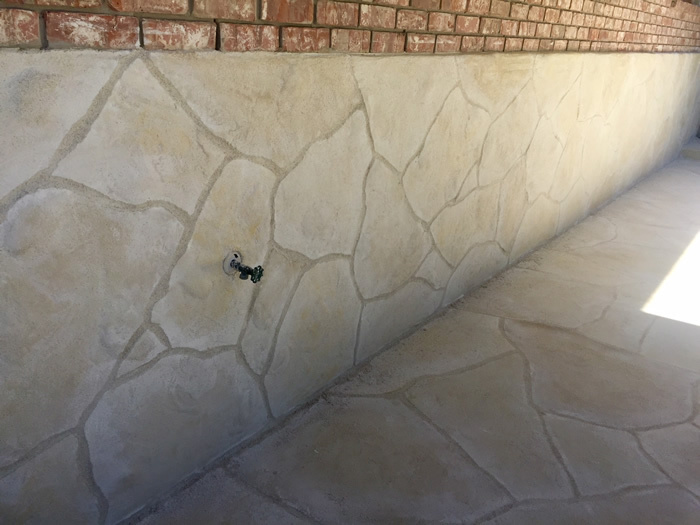 Concrete vertical overlays are built in a sculpting process that allows professional stonemasons to retexture any wall into something more desirable or befitting of its surroundings. They’re textures used to implement fresh designs into existing surfaces using a mixture of lightweight concrete, with the more intricate designs being hand-sculpted. Think of them as textured imprints used to completely change the outward appearance of a vertical surface to match the customer’s vision. 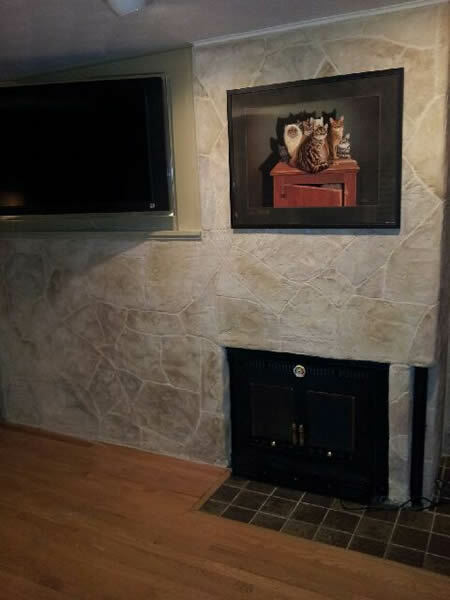 These vertical overlays can be set into a variety of surfaces in the home or business, including stone, brick, wood, plaster, and more. 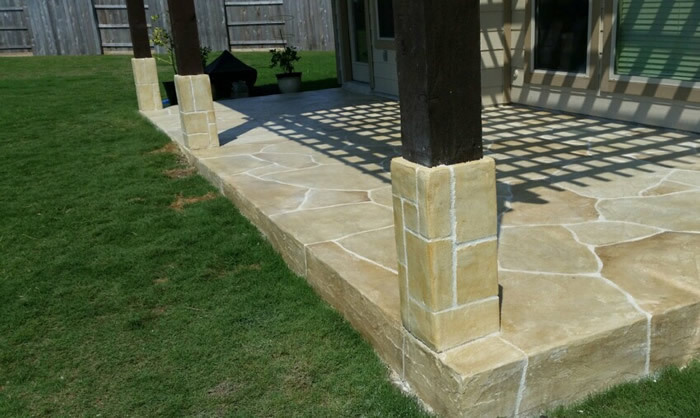 Being made of a concrete mixture also keeps the overlays strong, and the overall integrity of the surface sound. If your wall is lackluster, has small imperfections, or is generally leaving you hoping for more, it could be the perfect time to fix and refinish it with a brand-new look and style. 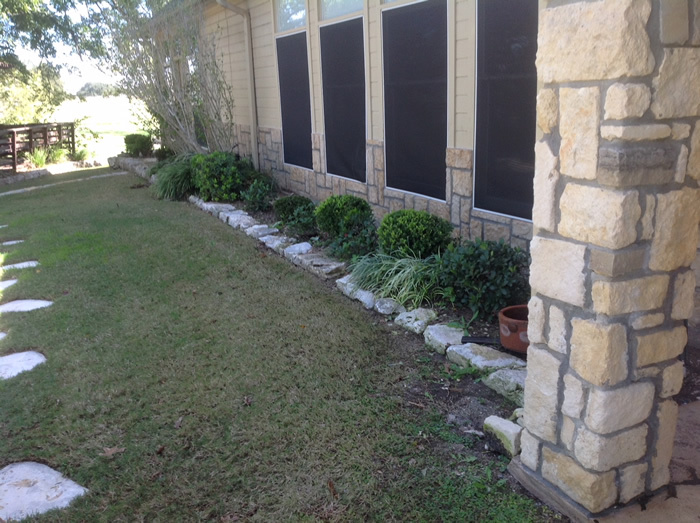 Call us at (512) 461-4836 for a free estimate on customized vertical overlays!